In the centre of Caterham, underneath an innocuous looking building behind morrisons is a the remains of the nuclear emergency bunker for Tandridge Council. The building is Soper Hall and has stood in the centre of Caterham for over 100 years. The hall was originally built in 1911 as the offices of the Caterham Urban District Council. This later became the Tandridge District Council and the hall was retained for use as a civic centre for functions, weddings and meetings. In the last 20 years the hall has seen declining use and due to constraints on council budgets lack of maintenance. The decision was made to transfer the Hall to a local community group with a view to renovating it and making it once again into a centre of the community. Thats all well and good, but not what we went to Soper Hall for. After a random email from the Community group asking us did we want to look round the nuclear bunker under the hall and did we want to strip the contents as they did not know what to do with it. We jumped at the chance. We have not been able to find out much information about the bunker, but were told it was built sometime in the late 80’s by converting the pre-existing basement. This involved outfitting the basement with pre-fabricated blast doors and decontamination/ventilation/sanitation and providing a connection on the outside wall to connect an emergency generator that would be situated in the car park in times of crisis. Entry into the bunker was through a rudimentary decontamination area complete with showers (removed some years ago to create storage space). Off the decontamination area was the plantroom that had in situ, air filtration, chemical toilet, potable water tank, waste water tank and storage space. Further into the bunker was an operational area through another blast door (this has now been outfitted as a studio and an external door fitted). Equipment in situ was all the ventilation and sanitation equipment as well as the blast doors. 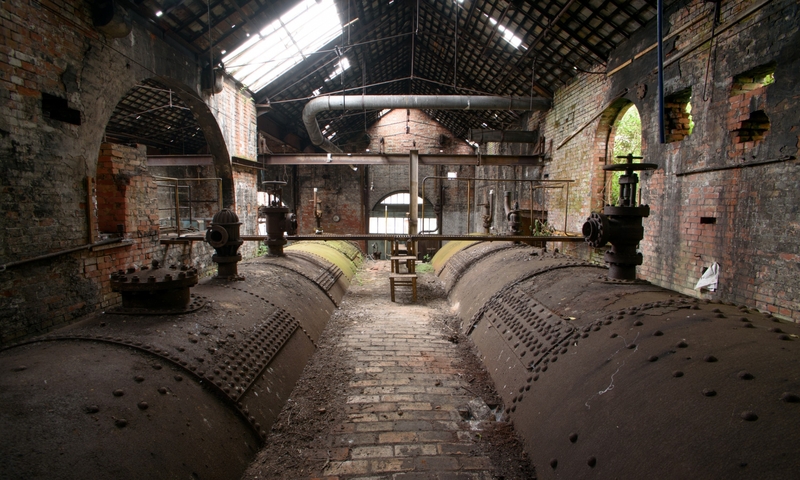 After documenting the site we removed all the equipment except the blast doors and water tank (they are to big to remove until renovation starts – they may be removed in the future) with the permission of The Soper Hall Group on the proviso it was displayed somewhere. We stored them in our lockup for a while whilsta display space was created in the Tunnel Road Caves in Reigate where the equipment now features as part of a small Cold War display.